Here are the lists of the top 10 fiction and non-fiction titles sold in Edmonton for the week ended January 6, 2019. The lists are compiled by Audreys Books and provided by the Book Publishers Association of Alberta. This entry was posted in Alberta Books and tagged Alberta Authors, Alberta Books, Audreys Books, Book Publishers Association of Alberta, David Aaron, Edmonton Best Selling Books, Edmonton Then and Now, Split Tooth, Tanya Tagaq on January 9, 2019 by Dave Cournoyer. 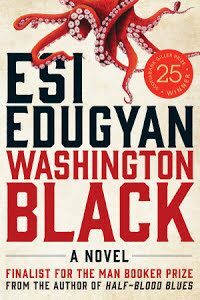 Here are the lists of the top 10 fiction and non-fiction titles sold in Edmonton for the week ended Dec. 30, 2018. The lists are compiled by Audreys Books and provided by the Book Publishers Association of Alberta. 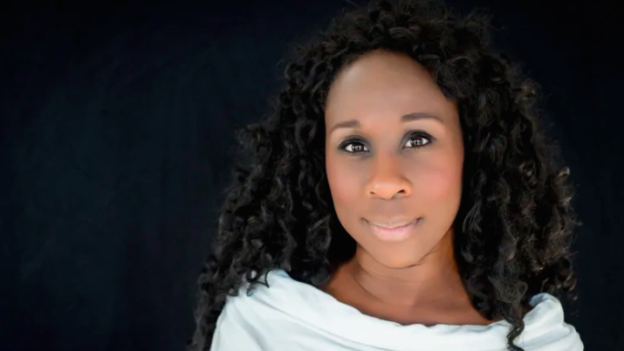 This entry was posted in Alberta Books, Alberta Politics and tagged Alberta Authors, Alberta Books, Audreys Books, Book Publishers Association of Alberta, Edmonton Best Selling Books, Edmonton Oilers, Esi Edugyan, Grit and Glory, Lorna Schultz Nicholson, Washington Black on January 5, 2019 by Dave Cournoyer. Here is the lists of the top 10 fiction and non-fiction titles sold in Edmonton for the week ended October 14, 2018. The lists are compiled by Audreys Books and provided by the Book Publishers Association of Alberta. At the top of this week’s non-fiction bestseller list is Made In Alberta: The Ray Martin Story by Ray Martin and John Ashton. Martin was the Leader of the Alberta NDP and the Leader of the Opposition in the Alberta Legislature from 1984 to 1993 and as the MLA for Edmonton-Norwood from 1982 to 1993 and Edmonton-Beverly-Clareview from 2004 to 2008. Ashton is well known in Alberta’s political circles as a veteran campaign NDP manager and has worked on 25 election campaigns in six provinces. This entry was posted in Alberta Politics and tagged Alberta Authors, Alberta Books, Audreys Books, Book Publishers Association of Alberta, Edmonton Best Selling Books, Edmonton-Beverly-Clareview, Edmonton-Norwood, John Ashton, Made in Alberta: The Ray Martin Story, Ray Martin on October 19, 2018 by Dave Cournoyer. Here is the list of the top 10 fiction and non-fiction titles sold in Edmonton for the week ended October 7, 2018, compiled by Audreys Books and provided by the Book Publishers Association of Alberta. 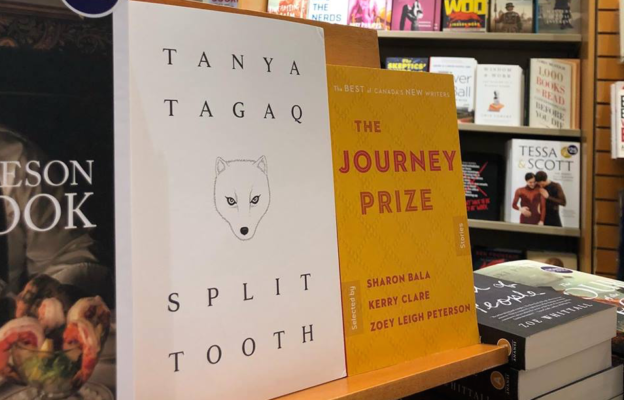 This entry was posted in Alberta Books and tagged Alberta Authors, Alberta Books, Audreys Books, Book Publishers Association of Alberta, Edmonton Best Selling Books, Split Tooth, Tanya Tagaq on October 10, 2018 by Dave Cournoyer. 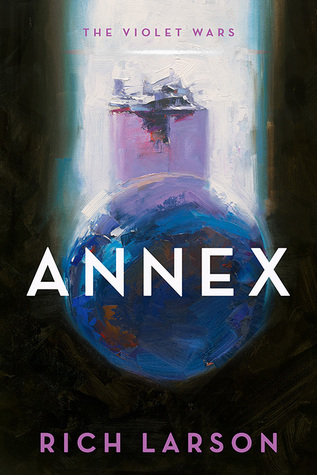 Here is the list of the top 10 fiction and non-fiction titles sold in Edmonton for the week ended September 9, 2018, compiled by Audreys Books and provided by the Book Publishers Association of Alberta. 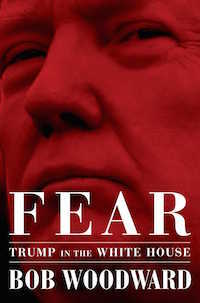 This entry was posted in Alberta Books, Alberta Politics and tagged Alberta Authors, Alberta Books, Audreys Books, Bob Woodward, Book Publishers Association of Alberta, Donald Trump, Edmonton Best Selling Books, Fear: Trump in the White House on September 19, 2018 by Dave Cournoyer. Here is the list of the top 10 fiction and non-fiction titles sold in Edmonton for the week ended July 29, 2018, compiled by Audreys Books and provided by the Book Publishers Association of Alberta. 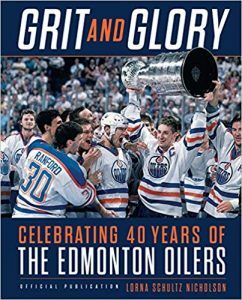 This entry was posted in Alberta Books, Alberta Politics and tagged Alberta Authors, Alberta Books, Annex, Audreys Books, Book Publishers Association of Alberta, Edmonton Best Selling Books, Richard Larson on August 1, 2018 by Dave Cournoyer. Here is the list of the top 10 fiction and non-fiction titles sold in Edmonton for the week ended July 22, 2018, compiled by Audreys Books and provided by the Book Publishers Association of Alberta. This entry was posted in Alberta Books and tagged Alberta Authors, Alberta Books, Audreys Books, Billy-Ray Belcourt, Book Publishers Association of Alberta, Edmonton Best Selling Books, This Wound is a World on July 25, 2018 by Dave Cournoyer. 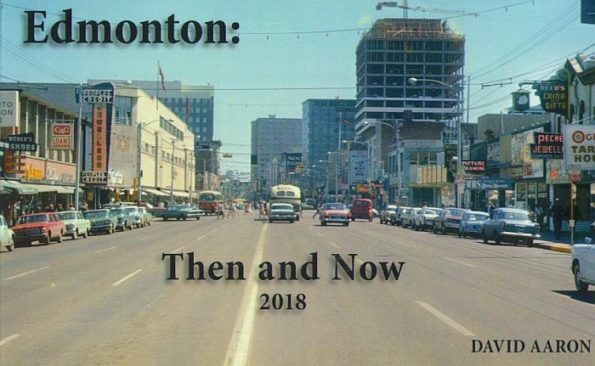 Here is the list of the top 10 fiction and non-fiction titles sold in Edmonton for the week ended June 3, 2018, compiled by Audreys Books and provided by the Book Publishers Association of Alberta. 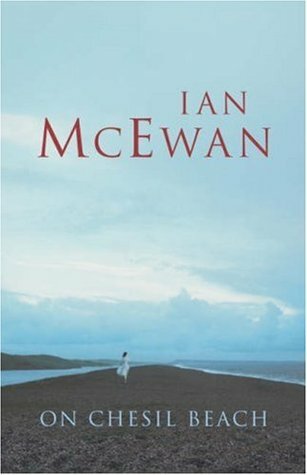 This entry was posted in Alberta Politics and tagged Alberta Authors, Alberta Books, Audreys Books, Book Publishers Association of Alberta, Edmonton Best Selling Books, Ian Mcewan, On Chesil Beach on June 6, 2018 by Dave Cournoyer. Here is the list of the top 10 fiction and non-fiction titles sold in Edmonton for the week ended May 27, 2018, compiled by Audreys Books and provided by the Book Publishers Association of Alberta. 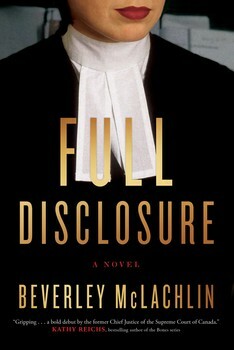 This entry was posted in Alberta Books, Alberta Politics and tagged Alberta Authors, Alberta Books, Audreys Books, Beverly McLachlin, Book Publishers Association of Alberta, Chief Justice of Canada, Edmonton Best Selling Books, Full Disclosure on May 30, 2018 by Dave Cournoyer. Here is the list of the top 10 fiction and non-fiction titles sold in Edmonton for the week ended May 20, 2018, compiled by Audreys Books and provided by the Book Publishers Association of Alberta. 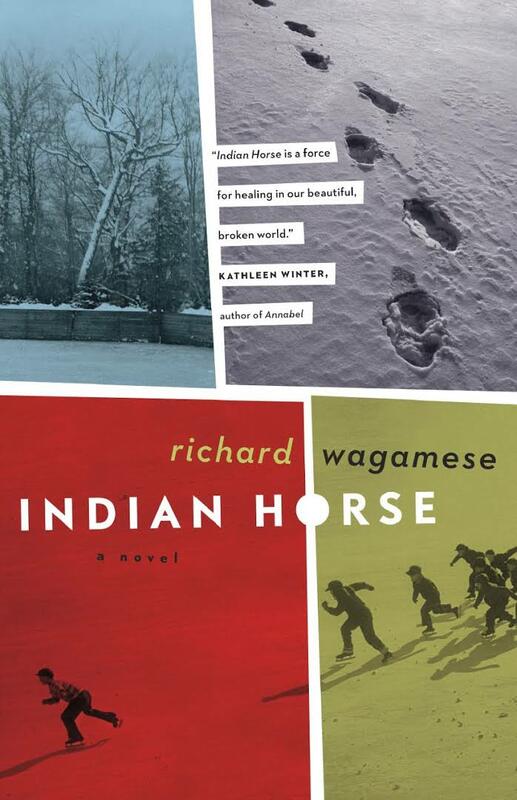 This entry was posted in Alberta Books and tagged Alberta Authors, Alberta Books, Audreys Books, Book Publishers Association of Alberta, Edmonton Best Selling Books, Indian Horse, Richard Wagamese on May 23, 2018 by Dave Cournoyer. Here is the list of the top 10 fiction and non-fiction titles sold in Edmonton for the week ended May 13, 2018, compiled by Audreys Books and provided by the Book Publishers Association of Alberta. This entry was posted in Alberta Politics and tagged Alberta Authors, Alberta Books, Audreys Books, Book Publishers Association of Alberta, Edmonton Best Selling Books, Let's Go Exploring: Calvin and Hobbes, Michael Hingston on May 16, 2018 by Dave Cournoyer. Here is the list of the top 10 fiction and non-fiction titles sold in Edmonton for the week ended April 22, 2018, compiled by Audreys Books and provided by the Book Publishers Association of Alberta. 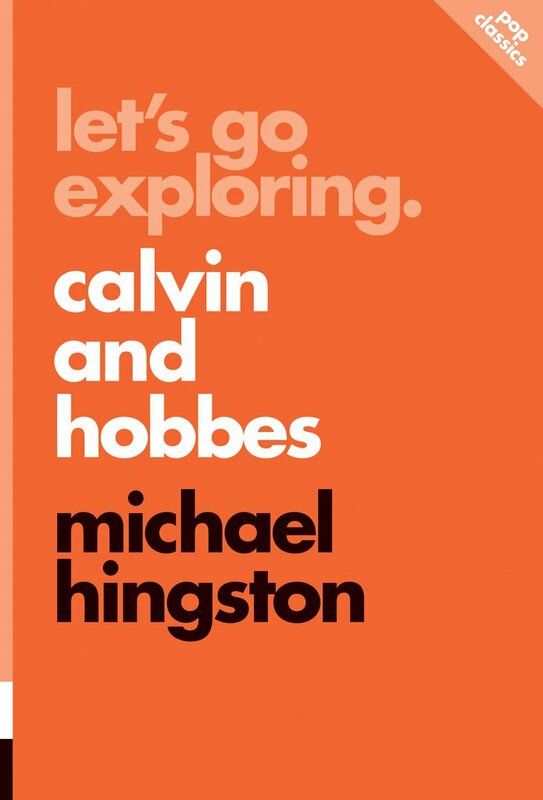 This entry was posted in Alberta Books and tagged Alberta Authors, Alberta Books, Audreys Books, Book Publishers Association of Alberta, Edmonton Best Selling Books, Let's Go Exploring: Calvin and Hobbes, Michael Hingston on April 26, 2018 by Dave Cournoyer. Here is the list of the top 10 fiction and non-fiction titles sold in Edmonton for the week ended April 15, 2018, compiled by Audreys Books and provided by the Book Publishers Association of Alberta. 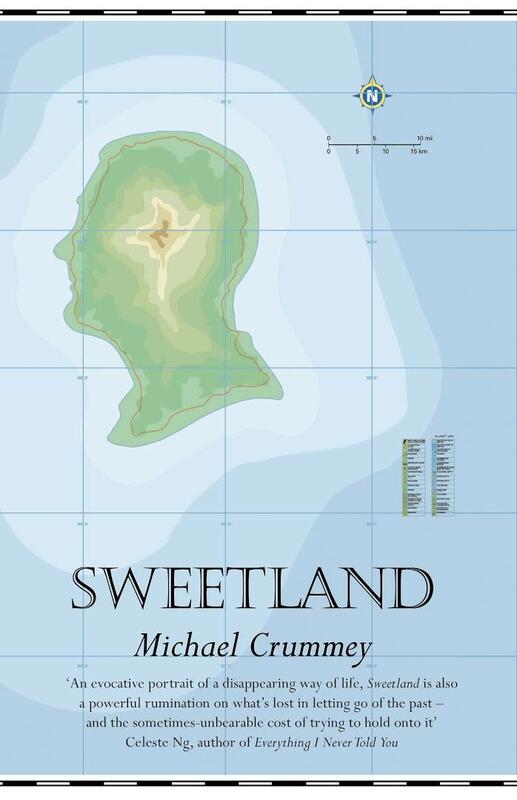 This entry was posted in Alberta Books and tagged Alberta Authors, Alberta Books, Audreys Books, Book Publishers Association of Alberta, Edmonton Best Selling Books, Michael Crummey, Sweetland on April 18, 2018 by Dave Cournoyer. Here is the list of the top 10 fiction and non-fiction titles sold in Edmonton for the week ended Feb. 25, 2018, compiled by Audreys Books and provided by the Book Publishers Association of Alberta. 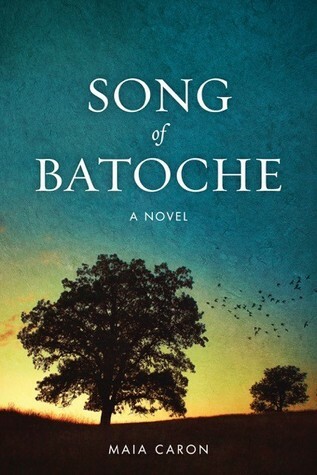 This entry was posted in Alberta Books and tagged Alberta Authors, Alberta Books, Audreys Books, Book Publishers Association of Alberta, Edmonton Best Selling Books, Maia Caron, Song of Batoche on February 28, 2018 by Dave Cournoyer. Here is the list of the top 10 fiction and non-fiction titles sold in Edmonton for the week ended Jan. 21, 2018, compiled by Audreys Books and provided by the Book Publishers Association of Alberta. 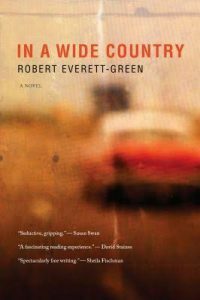 This entry was posted in Alberta Politics and tagged Alberta Books, Audreys Books, Book Publishers Association of Alberta, Edmonton Best Selling Books, In a Wide Country, Robert Everett-Green on January 24, 2018 by Dave Cournoyer.